Gin has fast become one of the most popular spirits in the UK again, and as a result, many gin-based subscription boxes have popped up to meet this growing consumer demand. By far the most exciting box is the Craft Gin Club. Why? Because it contains a FULL-SIZE bottle of gin every single month! The box is carefully packaged to ensure that all of the contents arrive in perfect condition, and they always arrive promptly during the first week of the month. This month’s Craft Gin Club is a real treat, so let’s take a closer look at the goodies! In addition to the usual Ginned! magazine (which is a fantastic read by the way – there’s a lot of effort that’s gone into it and it includes interviews with gin distillers and lots of cultural features, as well as plenty of cocktail suggestions of course! 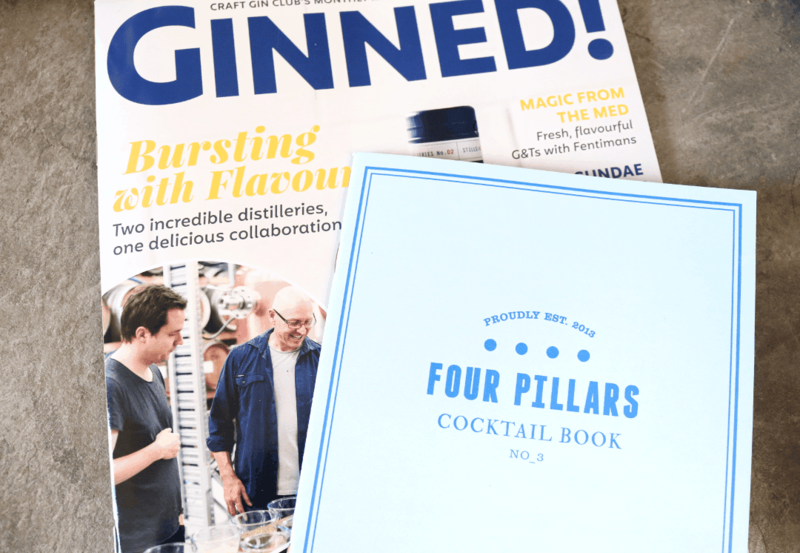 ), they have also included a Four Pillars Cocktail Book this month to help you create some classic and contemporary drinks. I’ll definitely be trying some of these out. 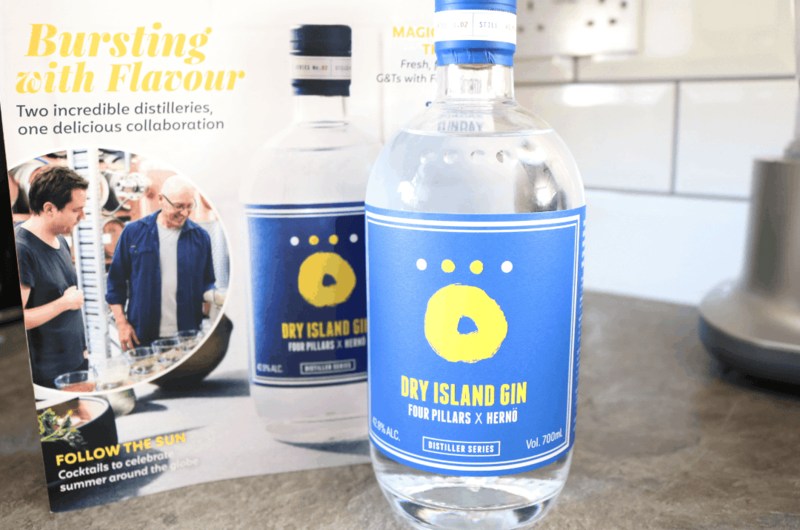 August’s featured gin is a very special collaboration between two distilleries; Four Pillars X Hernö called the Dry Island Gin. Both of these esteemed distilleries have won their fair share of respectable awards, and this Limited Edition collab is distilled in Healesville, Australia. Best of all though, Craft Gin Club members are the first in the Northern Hemisphere to be able to try it – what a treat! This is a spectacular gin that features a wide range of botanicals such as Juniper, Coriander Seed, Meadowsweet, River Mint, Roasted Wattleseed, Strawberry Gum, Lemon Myrtle and Fresh Lemon. It has a bright and citrusy flavour which is balanced with some delectable fresh Pine notes that make it reminiscent of a classic London Dry style gin. The flavour is very clean and pure so it pairs well with any kind of tonic for a delicious G&T. I’m a big fan and it’s been a lot of fun experimenting with different cocktails with this as the base spirit. 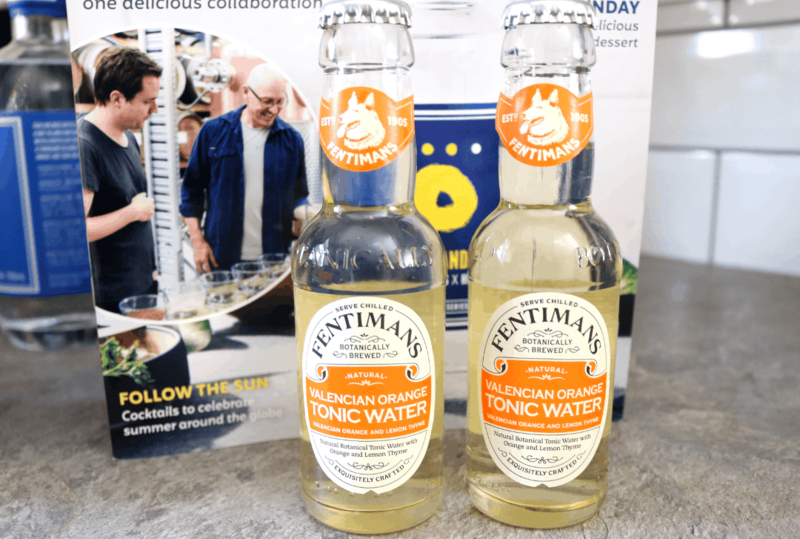 For mixers this month, Craft Gin Club have included two bottles of Fentimans Valencian Orange Tonic Water which is perfect for Summer. Botanically blended, it features real Valencian Orange and Lemon Thyme for a subtly juicy and zesty tonic water to match up with your favourite gins. 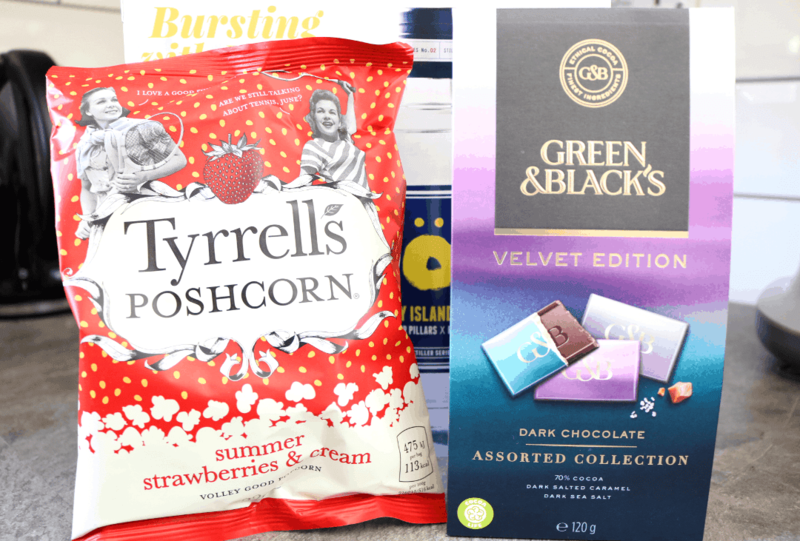 For snacks, there’s a delicious bag of Tyrrell’s Poshcorn in their sweet Strawberries & Cream flavour – this really does taste like Summer! There’s also a box of Green & Black’s Velvet Edition Dark Chocolate Collection which contains an assortment of flavours; 70% Cocoa, Dark Salted Caramel and Dark Sea Salt. These individually wrapped squares have a smooth and velvety texture that melts in your mouth and they make great after dinner chocolates. 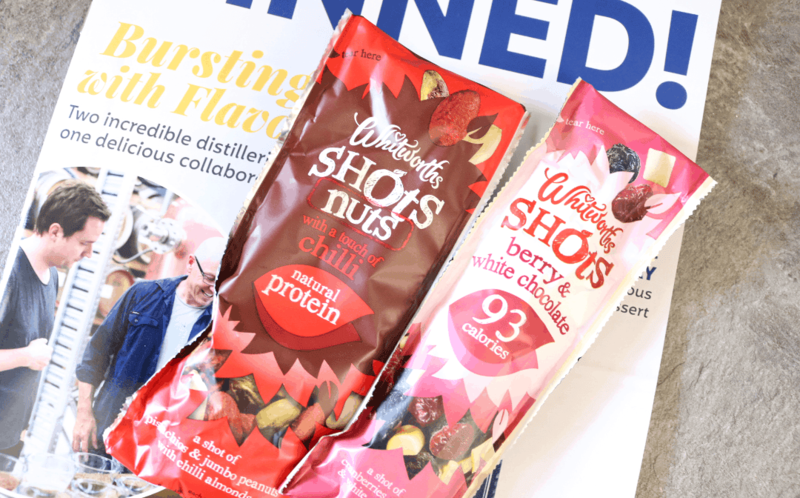 Lastly, there are two small snack packets from Whitworth’s Shots range – one in Nuts & Chilli and the other in Berry & White Chocolate. These are perfect to pop into lunchboxes or handbags for a healthier snack on the go. Yum! 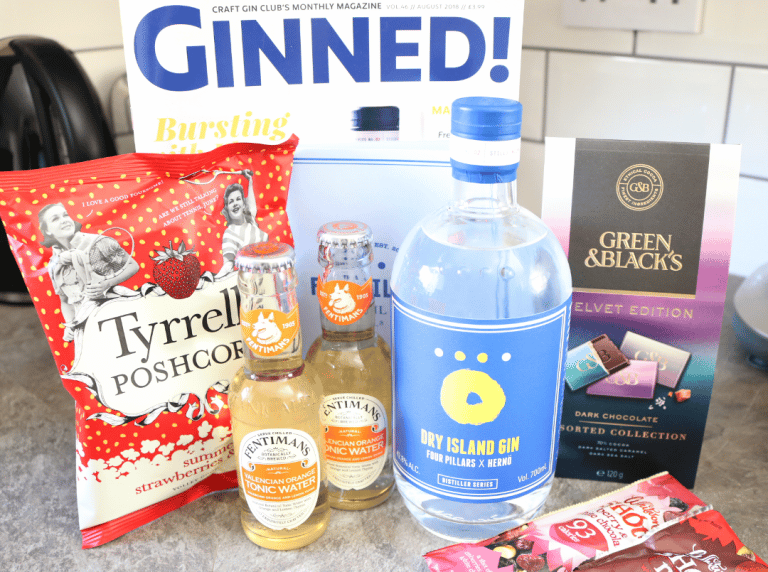 I'm always happy to receive the Craft Gin Club boxes, but I feel that they have really outdone themselves this month with an incredible gin exclusive and a fantastic selection of tonics and luxury treats! What more could you possibly want?! How would you rate Craft Gin Club ?